[Nez framework] how to get multiple sprites to act as one object? 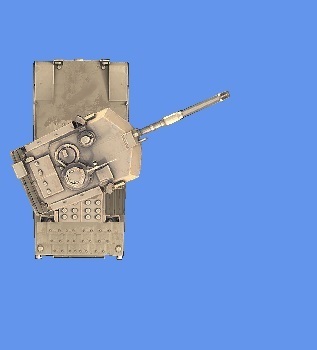 I want to create a tank (base + turret). Have the turret manipulate on its own but still be part of the tank. This is more like a layered sprite. I can use the Nez sprite component to add the sprites to get the look that I want, but the turret is not an entity so I can't make it do anything. Has anyone done this with Nez? A few trial and errors and I got something working. Base and turret will move together. Set up the base sprite as the parent of the next sprite and next and so on. That way, everytime you move the base sprite all the children will move. Also, if you can make the children as entities with special components (tag), then you can use specialized systems to act only on that part. 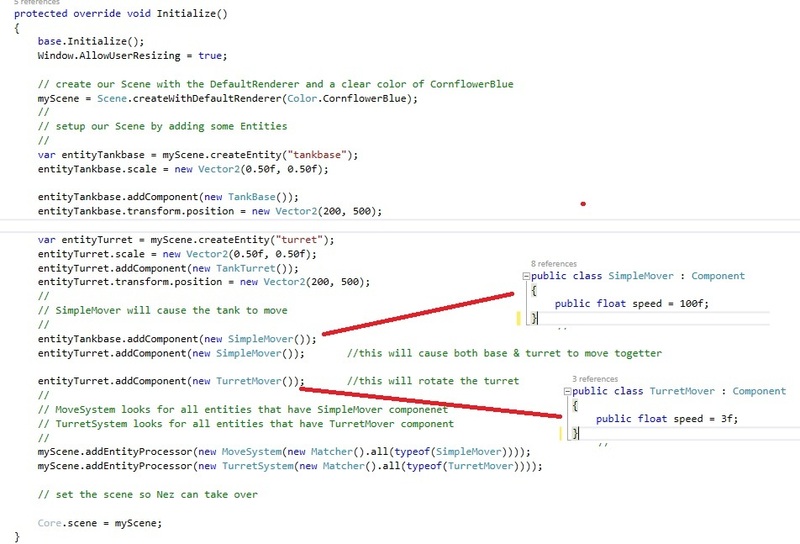 This will make the turret turn while the base moves in a different direction. Nez is fantastic for 2D games. I used Unity ECS for this, although it works, it requires a lot of setup and I wasn't feeling like I wanted to put so much in a simple 2D game. So, I came back to Monogame and found Nez to do most of the work. Thanks Prime 31 for a wonderful framework.